This NecroGate blog post is extracted from Mardukite Liber R, recently published by the Mardukite Truth Seeker Press in its second edition as “Necronomicon Revelations – H. P. Lovecraft, Kenneth Grant, Aleister Crowley, Nine Gates of the Kingdom of Shadows & Simon Necronomicon: An Anunnaki Conspiracy” by Joshua Free. This new edition includes literary excerpts from the later cycle Mardukite Liber 555. When the Simon Necronomicon was first released, a very select few were privy to this ‘type’ of understanding concerning a truly archetypal, pre-classical and pre-Christian methodology – a root system by which many other branches of the tree were later formed and perceived as separate, whether because of semantics or their locale in time and geography. Even those supposed occultists and New Agers at that point had very little background in the mythos being dealt with – which was not at all Lovecraftian, or even Sumerian as many other believe, but Babylonian! Based on Mardukite Babylonian research, the Necronomicon paradigm is a very serious subject, well beyond the scope of Lovecraftian fantasies, that those of us who have been “blessed” to be involved in its necessary consciousness-changing return for modern times, take very seriously. Unlike many of the Necronomicon critics out there who simply scream “hoax” to anything that bares the title, the current Mardukite institution is more sympathetic toward the paradigm shift provided by the Simon contribution. It is not Sumerian in origin as many thought and as its own editors profess. While it is true that Sumerians occupied the space geographically linked to its birth-place, but their tradition is not actually evident in the work other than what was absorbed into the later tradition that the Simon work is actually based – Babylon. The idea that the Necronomicon tradition is “nondenominational” (as its Simonian editors relate) is also a false assertion. 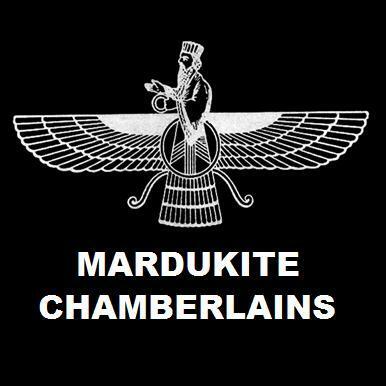 It is clearly laced with the Mardukite-specific spiritual politics found strongest in Babylonian traditions and literature, which are often mirrored in Egypt. Among these, of course, being the centralized veneration of MARDUK-RA as the “Lord of the Gods,” something entirely absent in the previous original Sumerian Tradition. Following the idea presented in the Lovecraftian work more than the actual content drawn from Mesopotamia, the Necronomicon was presented as that all-too-familiar long-lost sorcerer’s “black book,” the “most dangerous and powerful” on the planet. In some ways, the hype is justified. The work was certainly monumental for its time, and even remains a cornerstone today, although its efforts have since been surpassed by the work of the Mardukite Research Organization. Very few, even those who had studied cultural folk mythologies and other pagan pantheons revived by the “mystical movements” of the last centuries, had gained any access to or understanding of the ancient Mesopotamian methodologies that predated all the rest. This change in human consciousness was not only monumental, but intentional – an integral part of a larger picture where spiritual forces have indeed been directing the course of many events in recent past. Among these were some many profound ventures in the 1970’s that bridged the 60’s to the 80’s via visions and manifestations that some might have never conceived of prior. The music changed. The media changed. The very colors being perceived in the world changed – more real, surreal and yet wholly artificial. The technological age was counter-balanced with an extreme sense of “fantasy” and “spiritual occultism,” such as human civilization had not seen for a very long time. It was a necessary program to be followed to temper the rise of the electronic gods – those which have been raised to supremacy by their human creators. Feeling that the Old Gods have left them, the humans have felt this overwhelming need to raise another in its place – this time, by their own creation – or so they think. It was not until the fantasy enthusiasts and Lovecraftian Necronomicon readers started getting together with the science-fiction and Sitchin-eqsue circles in the late 1970’s that the “mainstream population” outside of the orders like the Golden Dawn or O.T.O. were given a chance to understand what was already known in the underground for thousands of years – the existence and nature of the Anunnaki! The path of the Mystery Tradition has, up until now, led the seeker along a vast array of “lights” and “images” – up the rungs of a Ladder of Lights as it were – tracing the phantasmal images of the material world back to their Source. But it is not the glamorous procurement of further persona and personality upgrades that the seeker is after, rather it is the absolution or annihilation of the same; those which you have already acquired and are but weights to keep you bound by the distractions of (and energetic slavery to) the material world of light and forms. So the seeker passes through the Seven Gates of Life seeking to bring parts of the whole together – if they be so lucky. Too often it is the case that the initiate separates the whole into additional esoteric parts that merely ends with life further separated – the initiate completes the journey further from the Source. Therefore, the emphasis should not be on the bedazzlement attainable to the psyche of this world to delight in making some simply gematric or symbolic link – when all is actually connected in equality and oneness – not just to be found in a few “sacred” correspondences: the semantic relationships between observable attributes and invisible forces. Wholeness. This is never fully realized in the World of Light that we become accustomed to because it exists already in a state of separation from the World of Darkness. Polarity. The point being made is not necessarily the glorification of the Darkness either. There are many people who succumb to the trappings of the Darkness, just as they do the Light. This can happen easily when both are existing in a duality that is contrary to the Oneness that is the Source. Duality is not Oneness – and no system observing such can ever offer complete unification in its knowledge. So, what does one do? You can climb the Ladder of Lights and thereby unify the manifold natures of the existences found in the Light – but is this the end? Working back up the Tree of Life, the seeker has uncovered a very dangerous glitch in the system… This is not all there is. But where is it? And how is it that we can confront this hidden aspect for wholeness. How do we get to the other side..? After having moved forth through the Gates of this Universe, the seeker inevitably moves passed the final doorway and is able to glean a look behind the curtain… and there is nothing more horrifying than what one will find. All we have done and worked towards, all we have quested for in our endeavors into the Light and into the System and when the curtain is peeled back it is only to reveal – Nothingness… the Primordial Abyss. All of the systems in the mind that have given form their meaning has washed away and the realization of the illusion is paralyzing. For when we had our “Wizard of Oz” to toy with in our minds, we could at the very least laugh in our own folly at being fooled in the game of some supernatural crazed madman behind the curtains. At the very least things could be made to make sense – systematically.